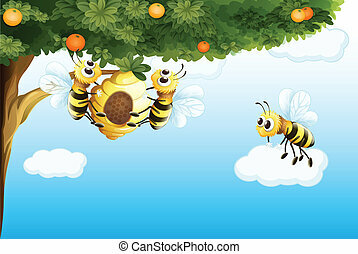 A beehive above the hill with three bees. 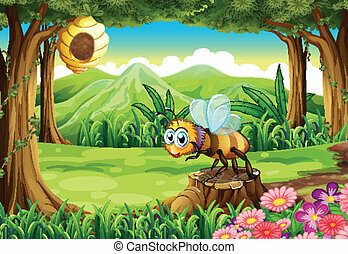 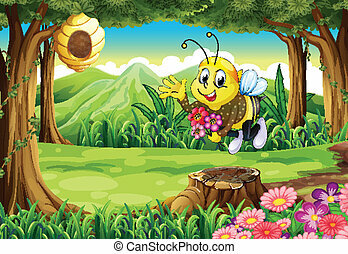 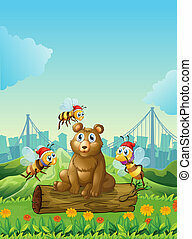 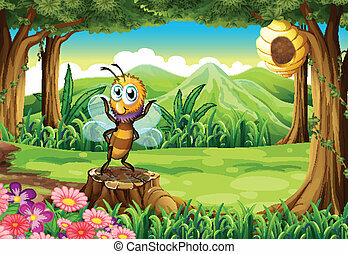 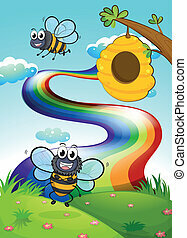 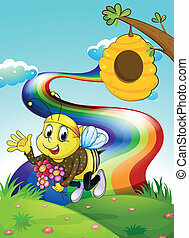 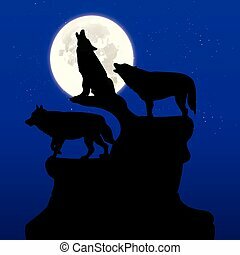 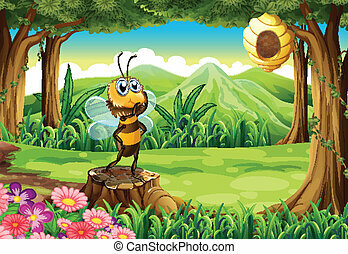 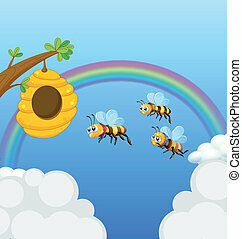 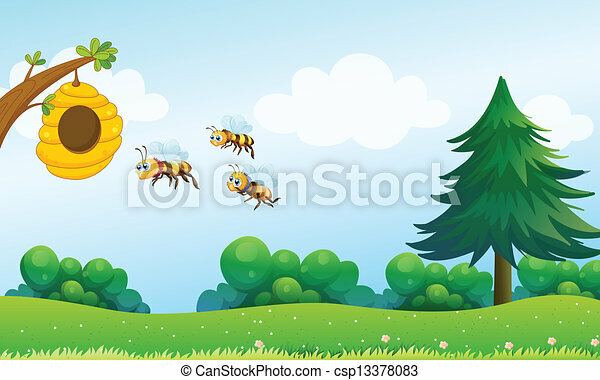 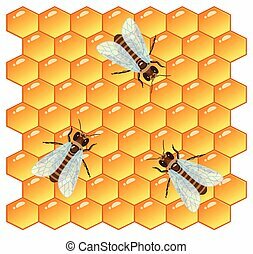 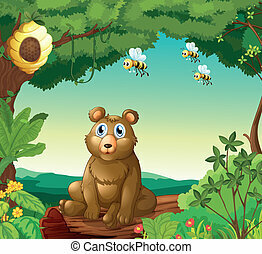 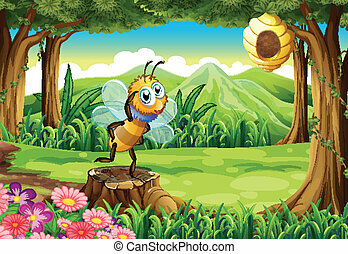 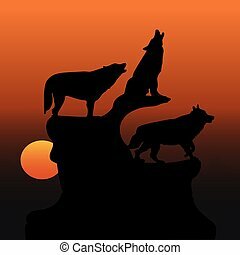 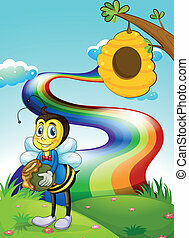 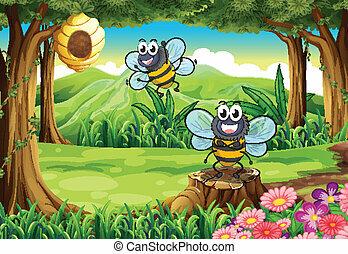 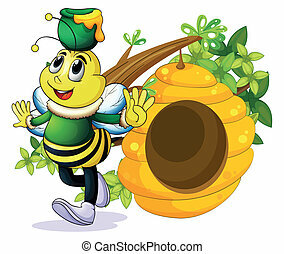 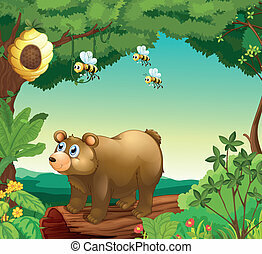 Illustration of a beehive above the hill with three bees. 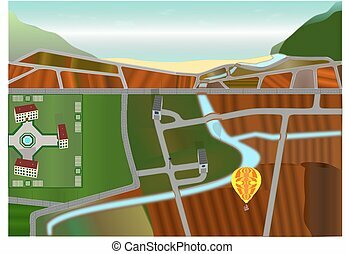 Illustration of a landscape located in the countryside and near the sea, with historical houses and its square with fountain, seen from the inside of a hot air balloon and made vanishing point perspective; the characteristics of the image are: -realization using the technique of perspective accidental (two or more focal points placed to the left and right in the drawing to form a direct vision "corner" of the object that is inside the pattern), the countryside; -in the 1st level (the square with a fountain and historic homes) of fundamental importance are the historic homes (note the eaves of the individual windows in addition to its square with a fountain and gardens made up of individual tulips) made all this: proportions real scale (1 mm in the drawing is equivalent to 1m in real life), complete perimeter front and rear, roof made with individual carriers to form the tiles excluding the "object-to reason"; -in the 2nd level (meadows and fields in the foreground with a balloon) to note is the construction of the balloon with a person on board made with real proportions and also how the rest of the scale drawing, and the sun, being placed behind the balloon, and then behind the view of those watching the scenery, it produces shadow over all things; -in the 3rd level (background) you can bring out the river that flows into the sea, the other fields, the hills, the beach and the sea itself, all made with aerial perspective of expiry of the design; -the illustration was created with vector graphics software open source INKSCAPE from scratch that is no need to vectorize any objects of the entire image.